Panasonic has launched today full-frame mirrorless Lumix S series in the Indian market. 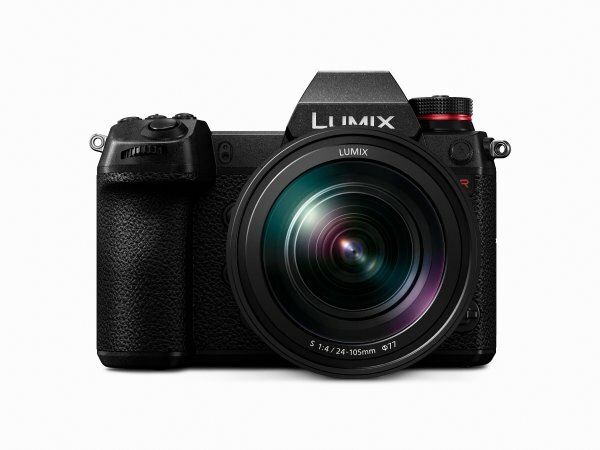 This series comprises of LUMIX S1 and S1R with 24 megapixel and 47.3 megapixel full-frame CMOS sensor respectively.The LUMIX S Series also provide industry-leading video recording performance (4K 60p/50p), the most effective image stabilization, rich gradation and superior color reproduction. The LUMIX S1R comes with a 47.3-megapixel full-frame CMOS sensor (36mm x 24mm), which gives it the industry’s highest level of resolution in the full-frame mirrorless cameras. This sensor achieves a high S/N ratio by taking advantage of its high light-condensing efficiency despite the large number of pixels. The LUMIX S1R features a High Resolution mode for the first time as a mirrorless full-frame camera to enable 187-megapixel ultra-high precision photo with a pixel shift technology shooting. On the other hand, the LUMIX S1 is a hybrid camera that comes with a 24.2-megapixel full-frame CMOS sensor (35.6mm x 23.8mm) for a wide dynamic range and excellent performance at high sensitivity in addition to a natural yet sharp image description thanks to sufficient light condensation per pixel. The LUMIX S1 also features a High Resolution mode for the first time as a mirrorless full-frame camera to enable 96-megapixel ultra-high precision photo with a pixel shift technology shooting. Panasonic has achieved a high-speed AF with its advanced control technology over the major devices – lens, sensor and imaging engine. Panasonic is also bringing in artificial intelligence for photography and videography in these two cameras. LUMIX S1R/S1 uses artificial intelligence to analyze images. Panasonic has used deep learning to study a large quantity of images of people and animals and loaded the resulting AI into Venus engine. As a result the camera can recognize and accurately focus on them even if they are facing away. Advanced AI technology can recognize not only the human body but animals and birds, while the high-performance tracking system helps keep the subject in focus at all times. The main structure of these cameras is composed of a magnesium alloy full die-cast front/rear frame. The body has solid construction and a sealing for every joint, dial, and button. These cameras are not only splash resistant and dust resistant but also freeze resistant down to -10 degrees Centigrade. The shutter unit is also durable for approximately 400,000 cycles. The 7.4-V 3,050 mAh high-capacity battery can be quickly charged via USB PD using the bundled USB3.1 Type-C cable which also ensures high-speed data transfer. The Lumix S1 is priced at INR 199,990 and with 24-105mm F4 lens, the price will be INR 267,990 and S1R is priced at INR 299,990 for the body and INR 367,990 with a 24-105mm F4 lens. Panasonic has also introduced their Lumix Pro program. In addition to providing assistance and services to the customers, it will also run a loyalty program offering various benefits.